this is a call For action & resistance. 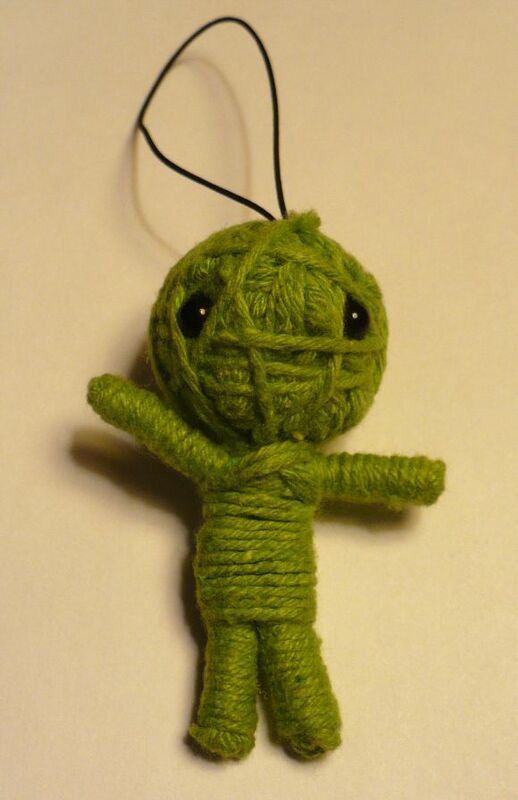 Join this artist collective by making a doll for each person killed by gun violence between 2015-2017. Help create A memorial of resistance: Healing through art, Dialogue and social action. 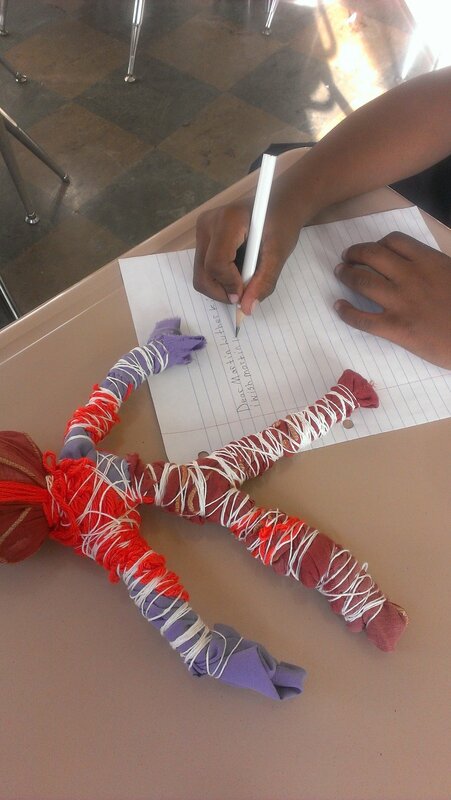 November 2015: The Dolls4Peace Project begins at Drake Elementary School in Bronzeville, Chicago After the death of a classmate. 2015: 447 people were killed by gun violence in Chicago. 2016: 716 people died in Chicago from gun violence. Help make a memorial of resistance to gun violence & trauma. 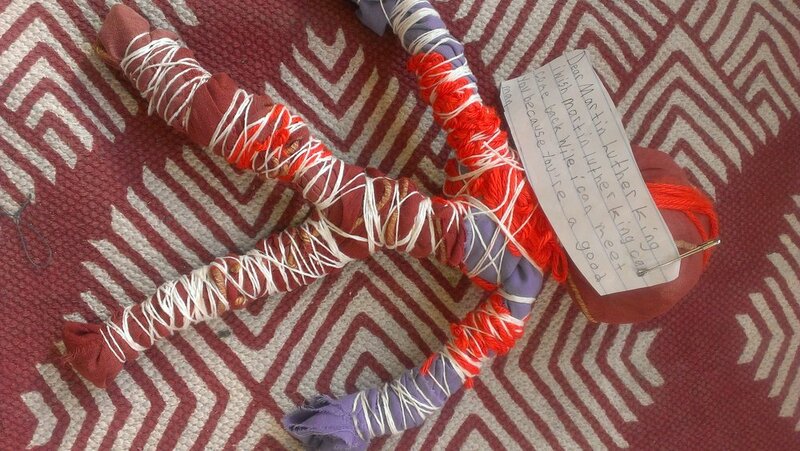 Building community through the arts, dialogue and social action, one doll at a time. It is the harsh reality that many students within marginalized inner city communities are affected by gun violence. Students come to school with trauma, in need of a safe space to deal with their feelings and thoughts on death and violence. This project began with a group of students using collaborative art making rituals to heal from trauma caused by the death of a school member. 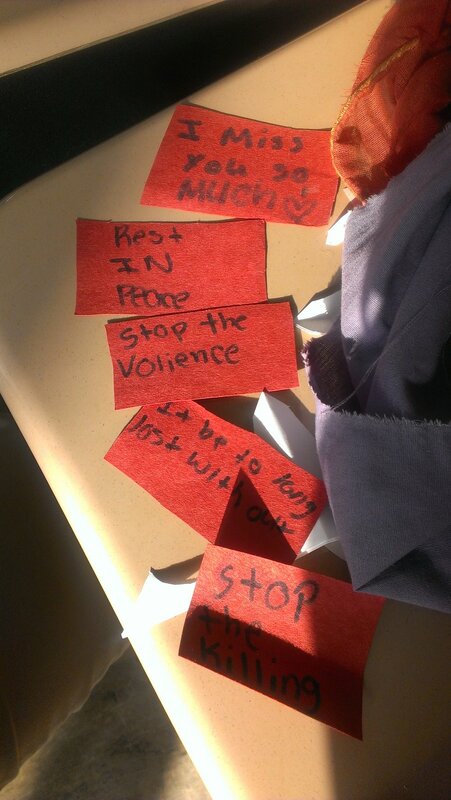 Teacher and students work as a collective to create memorials for all lives that have been lost to gun violence in Chicago by facilitating doll-making workshops to honor victims, raise awareness, and create space for healing. Find out about our organization, our projects, and the results of the Dolls4Peace Project.